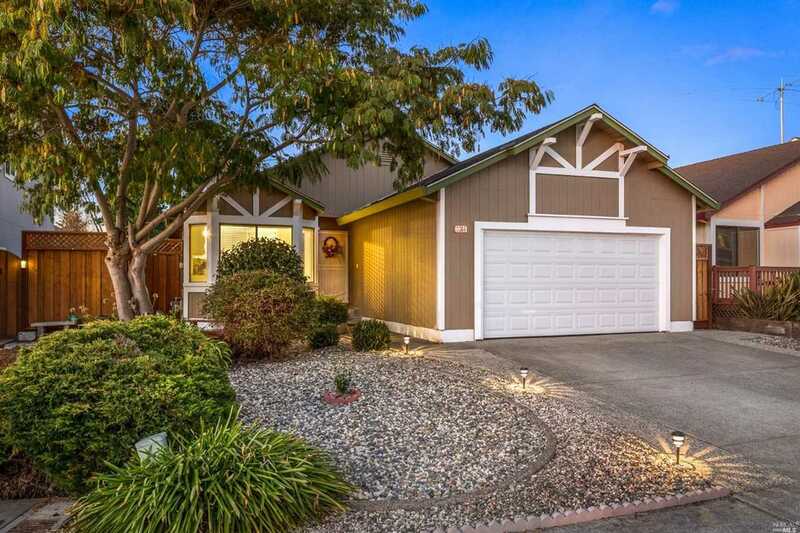 Charming home located in Rohnert Park's popular M'' section. Bright dine-in kitchen w/ bay window/ample cabinet space/beautiful subway tile & quartz counters. The living room includes vaulted ceilings, a brick-trimmed fireplace & slider access to the backyard. Quiet cul-de-sac location, just steps away from Magnolia park, public pool and elementary school. Close to SSU, shopping and train station. Kitchen: Cntr Stone Slab, Dishwasher Incl., Disposal Incl, Gas Range Incl. Lot Size: 0.1 Acres / 4539 Sq. Ft.
SchoolsClick map icons below to view information for schools near 1364 Miramonte Place Rohnert Park, CA 94928. Listing provided courtesy of David Rendino, RE/MAX Marketplace. Home for sale at 1364 Miramonte Place Rohnert Park, CA 94928. Description: The property at 1364 Miramonte Place Rohnert Park, CA 94928 with the MLS# 21902899 is currently listed for $550,000 and has been on the Rohnert Park market for 71 days. You are viewing the details of the real estate listing from the Bay Area MLS at 1364 Miramonte Place Rohnert Park, CA 94928, which features 3 bedrooms and 2 bathrooms, and has approximately 1262 sq.ft. of living area.